Virtualization has breathed new life into IT infrastructure, enabling greater flexibility and scalability without demanding major CapEx in return. But in their maturity, virtualized environments run the risk of becoming too distributed and unstructured – which in turn can lead to security and management concerns down the line. 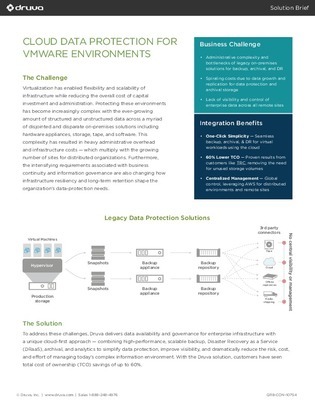 Inside, find out how to keep virtual workloads up to par with rising data protection requirements with a platform built to integrate directly with existing VMware environments, providing seamless backup, archival, and DR capabilities – and at a 60% lower TCO.